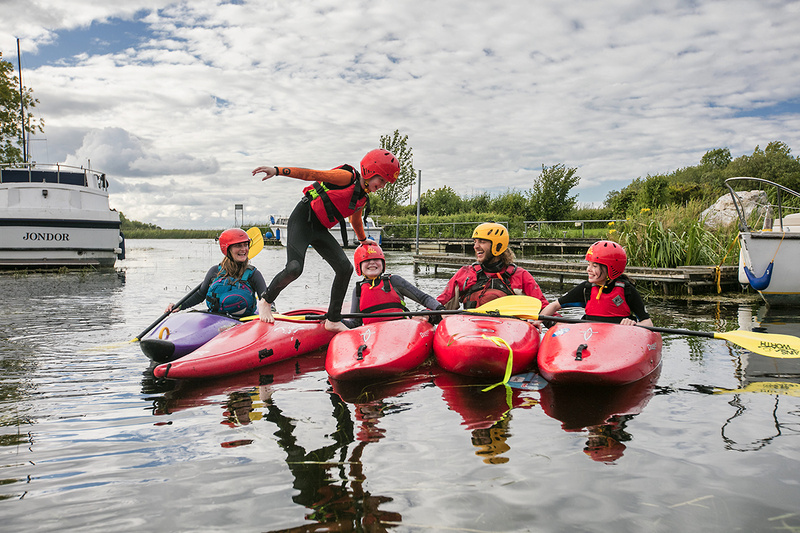 Everyone loves a special offer and here’s your chance to grab one and immerse yourself into Ireland’s Hidden Heartlands by canoe, bike or on foot and explore the Lough Derg Blueway. Imagine the scene…blissfull blue clear water, friends, family and fun all surrounded by beautiful and dramatic countryside in the three Irish counties of Clare, Tipperary, and Galway in the center of Ireland. The Lough Derg Blueway is made up of a series of multi activity recreational trails on the water and on land. It provides the opportunity for exhilarating and enjoyable activities which result in wonderful adventures. The Lough Derg Blueway is yours to explore and enjoy. You can do it your way – by canoe, paddle board, under sail, by bicycle or by foot. With 21 easy to use shoreline paddling journey around Lough Derg, complimented by a series of walking and cycling trails, there truly is something for everyone!